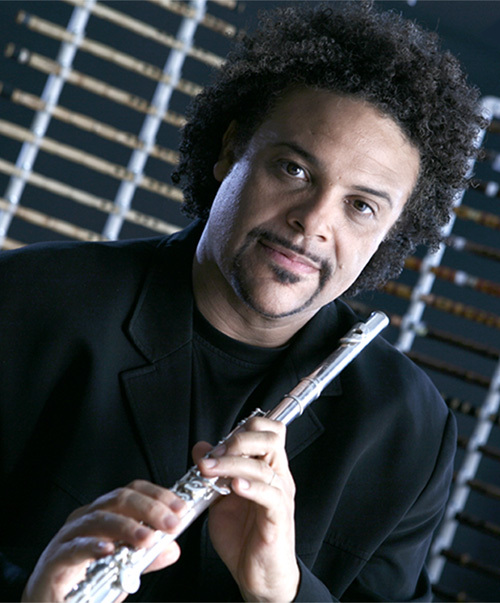 An award winning Venezuelan-born multidirectional multi-winds soloist/composer. He is the first call world-winds specialist for many top composers & producers in the L.A. Film-music, Video Games recording studios [John Williams-Spielberg, James Newton Howard, Hans Zimmer, John Powell, Michel Colombier, among many others] , [main wind soloist for “The Passion of The Christ”, “World of Warcraft”, Pirates of the Caribbean 3 & 4, Ice Age [all 4], Rio, Munich, among many other. Soloist in the Grammy award wining “Concert for George”, and winner of the 2007 Film & TV Music Award for “Best instrumental solo performance” category. Graduated from two Conservatories in Western classical & avant-garde disciplines, with more than seven years of orchestral symphonic experience, a M.F.A. in Jazz from the California Institute of the Arts, and World music studies with the legendary late genius Pdt. Ravi Shankar, & Djivan Gasparyan, (among many others). As a composer-soloist premiered his 12 movements “Suite Concertante for World WWs & Orchestra” conducted by maestro Gustavo Dudamel in 2009 (performing 21 instruments). He has recorded, toured &/or performed with remarkable international artists, including the Ex-Beatle Sir Paul McCartney, Dr. James Newton Jr, Yanni, Shakira, Persian superstar Googoosh, Anoushka Shankar. With around 600 instruments from all over the world–100 of which where custom designed & built by himself–he holds a unique position in the international musical scene.